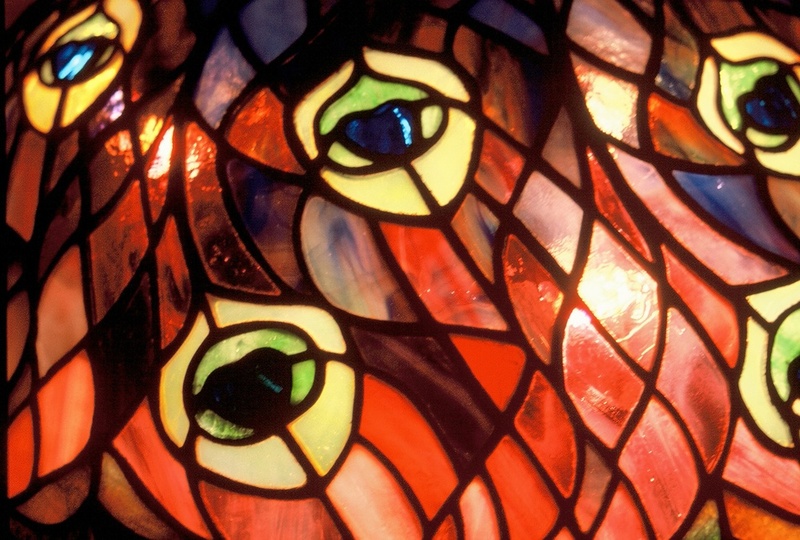 Close up of 16" Tiffany Peacock Lamp. 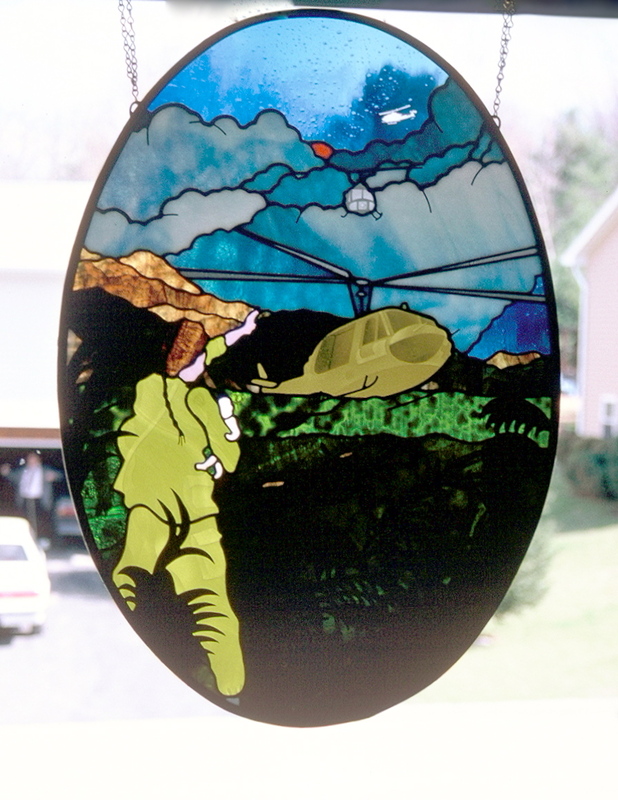 Donation to the Vietnam Women's Memorial Fundraiser in Washington D.C., 1989. Designed by Meredith Bocek...the colors theme inspired by the 200th U.S. Bicentennial of 1976. Designed by Meredith Bocek. Color theme inspired by the 200th U.S. Bicentennial of 1976. 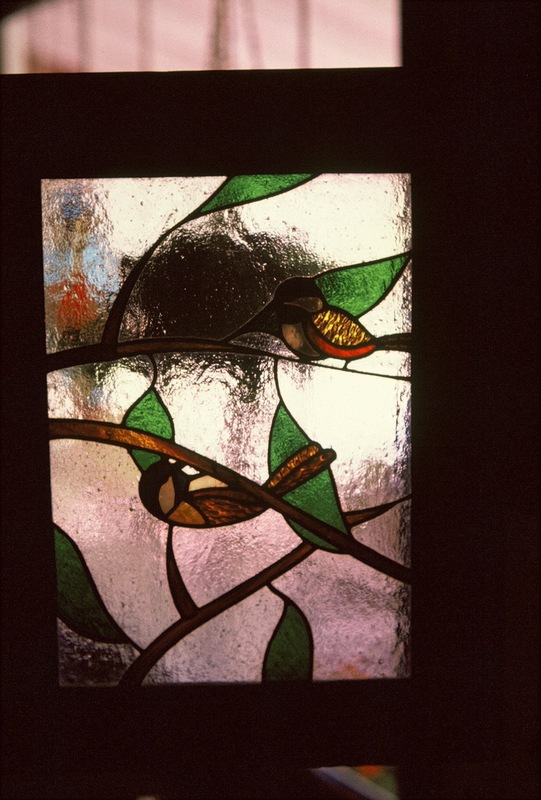 Center section of Cayuga Ski & Cycle, Ithaca, NY, transom entrance window. The center circle is their business card logo. 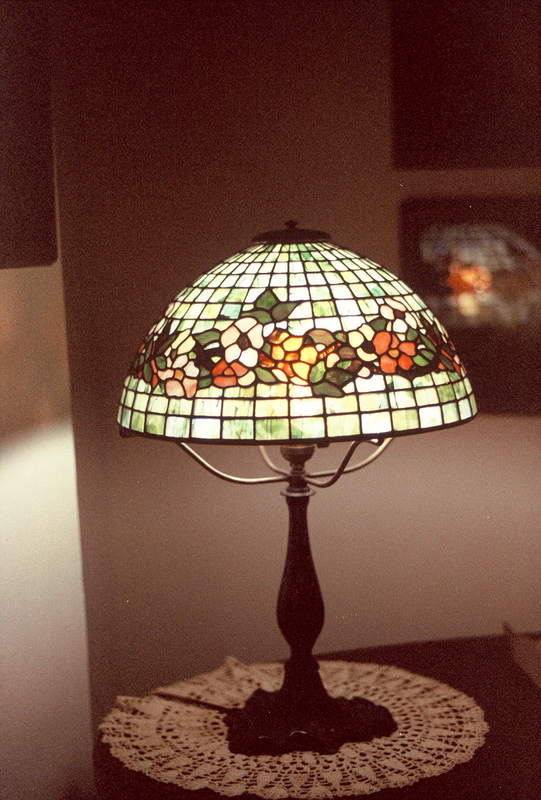 This lamp is an exact reproduction of one of LCT's Wisteria lamps. I made this lamp in the early 80's. It sits on a Paul Crist Studios solid bronze casting of the LCT's Tree Trunk base. Inspired by a natural flower which the fluer-de-leis obtains it's shape. South Mountain, in Binghamton, NY. 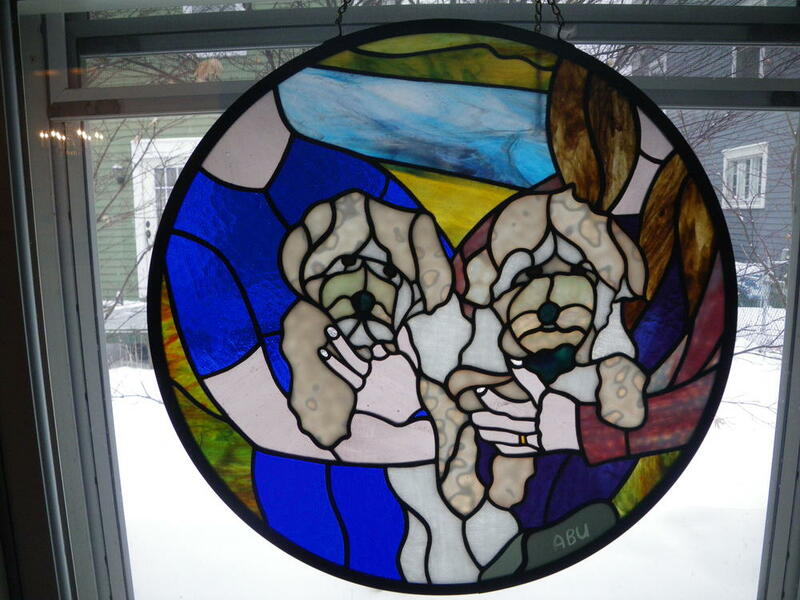 inspired this 5.5 ft panel using various textures of clear & tinted glass. 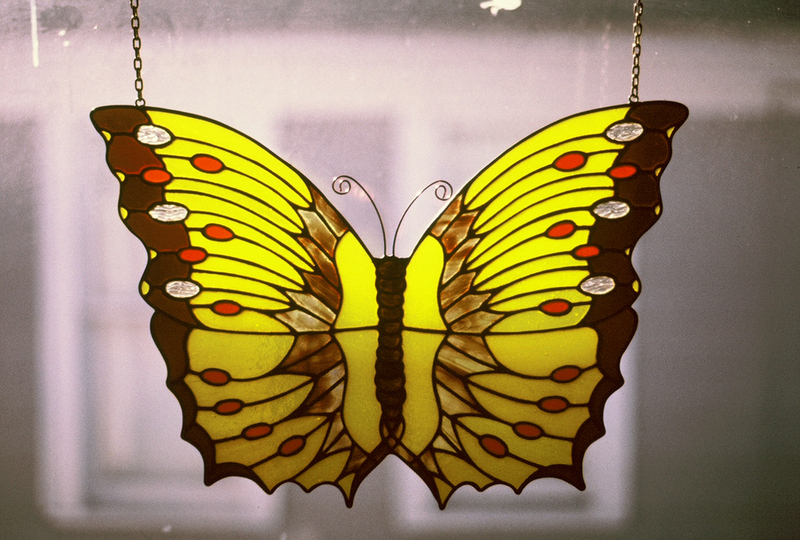 This was my 1st stained glass piece from 1975. This is a painstakingly faithful rendition of one of LCT's choicest lamps. Started in Oct. 2015 and finished in Nov. 2016. The base is a bronze repro. of the original that Tiffany paired with this lamp. Over 1600 pieces, started in Oct. 2015 and finished in Nov. 2016. A Paul Crist studios bronze repro. 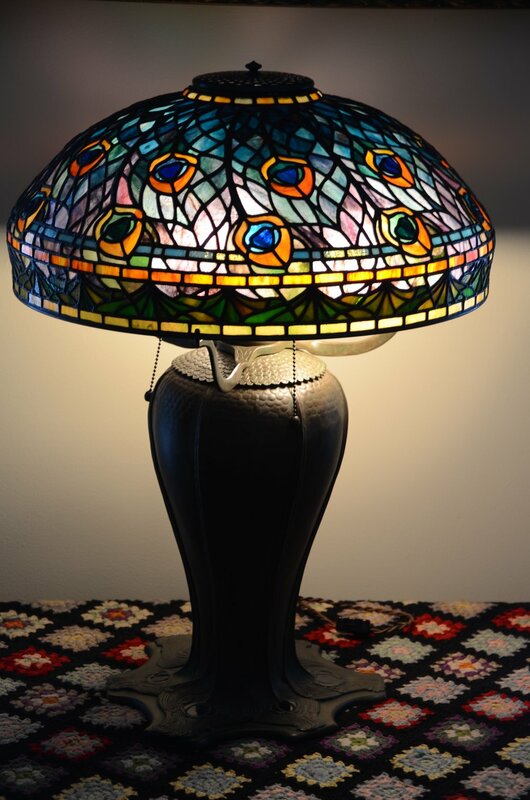 base compliments this painstakingly faithful rendition of LCT's Peacock lamp. 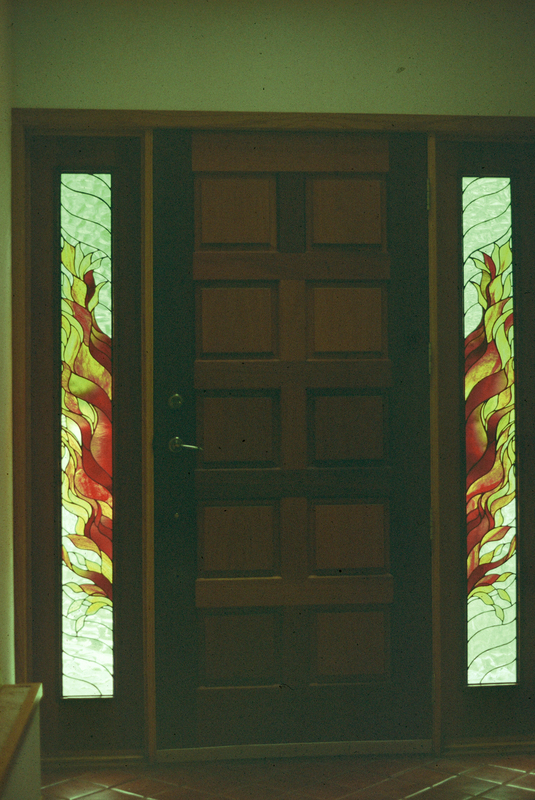 Handcasted & handrolled drapery glass. 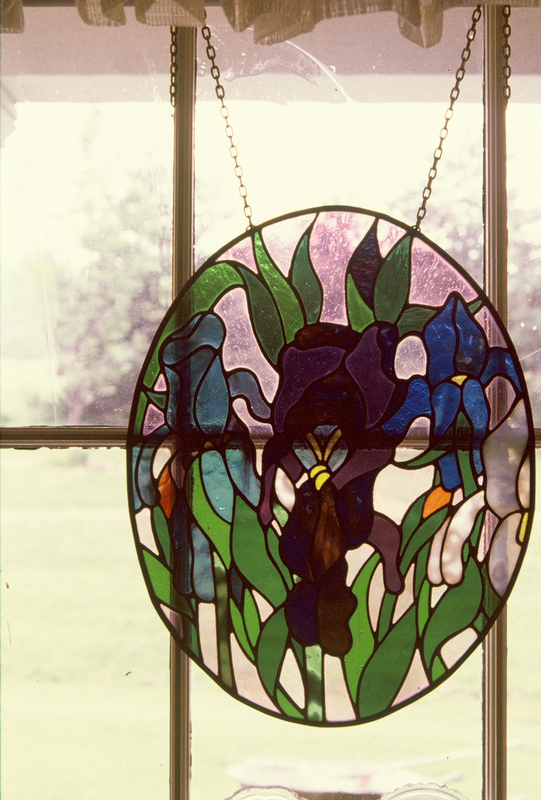 Iris study fitted into a cabinet.